Are You a Brand Ambassador for Your Own Company? Can Businesses Compete with Technology? My hobbies include studying consumer behavior and shopping trends. Research shows that purchasing decisions can be influenced by brands. Beta testing is used to anticipate and even predict what people will be buying with the help of intelligent technologies. My goal is to share my findings and hopefully start an ongoing dialogue, where we can discuss ways brands can provide real solutions in the marketplace. Wishing everyone continued success online! who also owns the popular traffic exchange called Trafficadbar. It is free to join and you can advertise your website links, add photos and connect with other independent business owners. Cashjuice is a community where users can set up a profile, share content, like, follow and comment on other members posts while getting paid. Cashjuice is a social platform that pays money and ranks you for participating and at the same time you can promote your affiliate links and get referrals. You will see lots of familiar faces on Cashjuice because many of the members are from right here on Ibotoolbox. 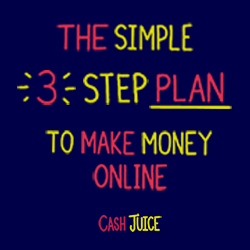 If you decide to join Cashjuice make sure to come by my profile and say hi, I look forward to seeing you there.